Have you ever tried to work while watching a particularly good movie? Eventually you catch yourself staring at the movie more than your work. This is what happens to me when I try to work while listening to Rhapsody of Fire. Inevitably I find myself staring off into space imagining Christopher Lee bent over some ancient tome reading aloud the deeds of Elf Kings and Wizards. The Cold Embrace of Fear is essentially one long song, broken into seven movements, clocking in at about 35 minutes. It was obviously too long to include on the band’s 2010 full length The Frozen Tears of Angels (which I thoroughly enjoyed) but it is directly related to that album. It continues along the story line started back with The Dark Secret, and is an important part in the saga for those of us following along in the story. Think of this as the graphic novel to fill in the gap between movie sequels. 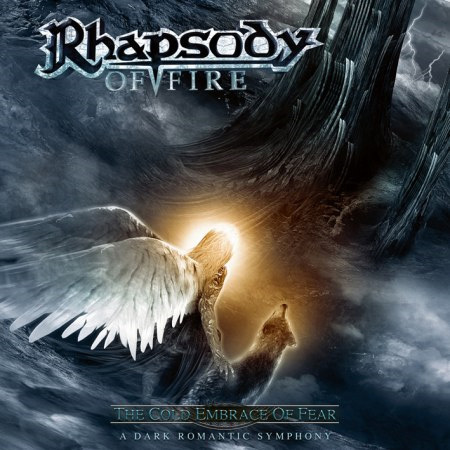 Rhapsody of Fire have spared no expense on this EP, treating it with the same amount of care and detail that they give their full length releases: great story line, fully orchestrated songs, huge production, choirs, blazing guitars, and, of course, Christopher Lee’s voice. Five actors help fill out the story line and the band is absolutely on fire here. Well, not literally because this takes place in cold snowy mountains, but the story and the music are so incredibly well crafted that they whisk you away. ‘The Ancient Fires of Har-Kuun’ is the centre-piece of The Cold Embrace of Fear and recalls earlier themes in Rhapsody of Fire’s albums but can easily stand on its own. It starts off as an almost gothic opera piece but quickly kicks in to sing-along power metal glory. ‘Neve Roso Sengue’ stays with the operatic side of ROF but that leads right in to the power metal of ‘Erian’s Lost Secrets’ which revisits ‘The Ancient Fires of Har-Kuun’ and ties the album together perfectly. The acted pieces around the song are chilling (no pun intended) and continue the cinematic brilliance of Rhapsody of Fire perfectly. Whenever a veteran metal band undergoes radical changes, like in Amorphis’s case, a new lead singer and a more streamlined sound, even if that shift in direction is successful artistically commercially and artistically, there will always be the stubborn folks in the background bitching and moaning about how their favourite band just isn’t the same as it used to be. Well, if you’re one of those people who still gripe that Skyforger is a sellout and can’t hold a candle to Tales From the Thousand Lakes, first of all, you’re only half right, and secondly, you can give a listen to Finland’s newest supergroup, who approach Amorphis’s classic, folk-infused progressive doom sound as if nary a day has passed since 1994. 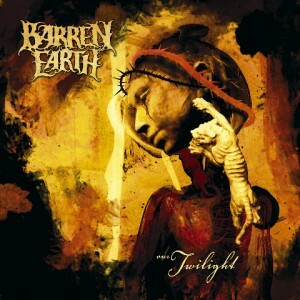 Adrien Begrand dissects the debut release by Finnish progressive death metal supergroup Barren Earth.